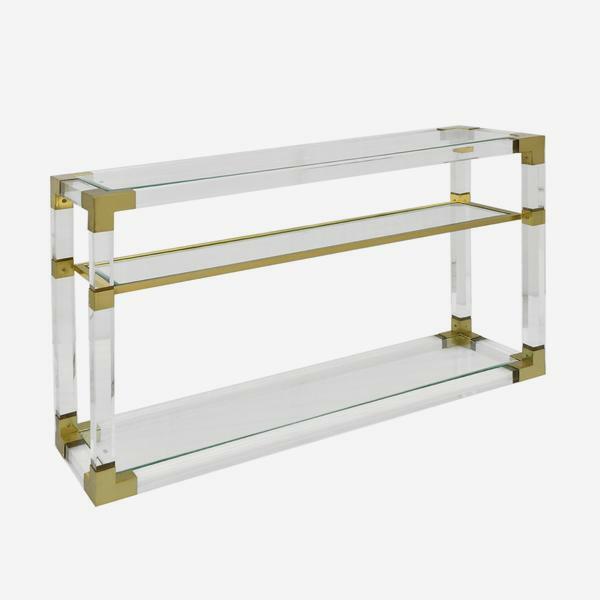 A console table with three glass shelves set in a clear acrylic frame with antique brass finish corners. 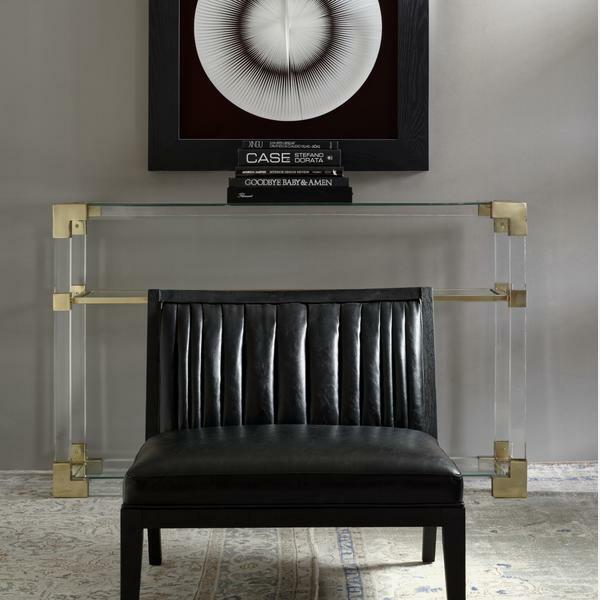 Two thirds of the way up, the middle shelf is framed by the same golden metallic finish, drawing the eye with its insynchronicity. 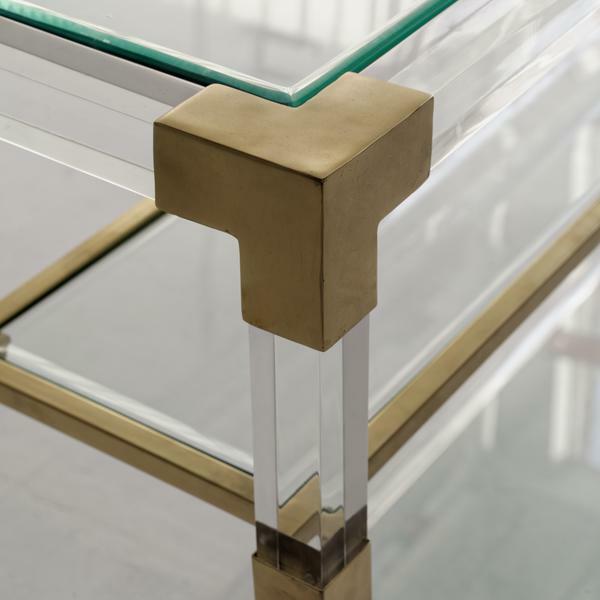 Lumiere is clean and crisp, juxtaposing transparency with the geometric shapes created by the golden corners. 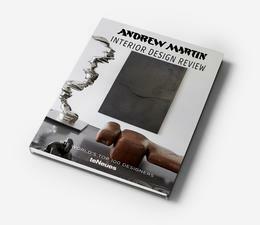 Like its name would suggest, it brings light and air into an interiors scheme.